Perhaps you have seen advertisements promoting a movie. These adverts are built such that they infuse interest in the movie. They compel people to look up and rush to the movie theaters on the date of release. 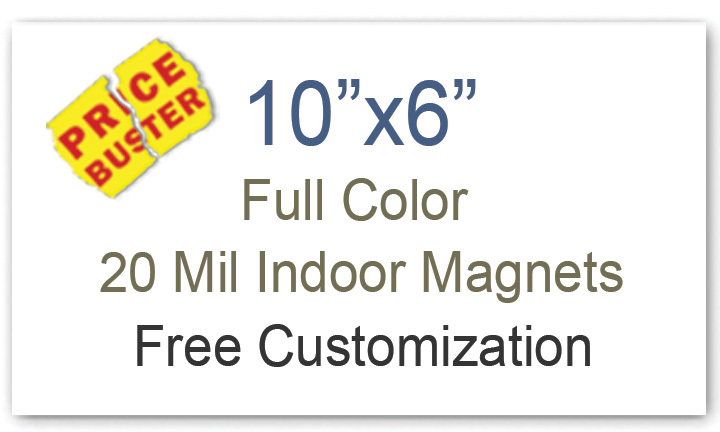 Similarly, you can create buzz around your products by indulging full color 10 x 6 magnets. Being large, they may not miss an attention from over refrigerator door and car bumpers. Mass public venues such as trade shows, corporate events, and in-store festive promotions are perfect for buzz creation. Take care to produce an advertisement, which resembles a movie advertisement and piques interest with its genuine sketching. Red carpet premieres are popular in the Hollywood and other movie industries around the world. Celebrities and movie buffs compete against each other to excel at the red carpet. Sizzling satins, eyeball-grabbing diamonds, and popping flashes — aah the never-ending rain of glamour is responsible for making Oscar the most watched Hollywood show on earth. You can mimic the magic of Oscar night by indulging full color 10 x 6 magnets in your campaign. Inspire people to retain it over their refrigerator doors and car bumpers. Perhaps you might have understood that only magnet advertising may not help you to grab headlines, but definitely, it can play a great part. You can use 6 x10 magnets for announcing your sponsorship for an event or promoting fundraisers, etc. People would retain such inspirational promotional information with pride. What do people discuss during movie screenings? Of course, the movie, right? Similarly, encourage people to discuss your brand. You can gift personalized 10 x 6 magnets during tradeshows, or other mass promotional events, which might be sponsored by your company or by other niche advertisers. People cannot take off their eyes from a vibrant and large personalized magnet and they would happily accept it in their homes over refrigerator doors and over car bumpers. You can coordinate these large sized customized 10×6 magnets with various other digital marketing and traditional marketing strategies to recreate liveliness of a movie premiere campaign. On sourcing customized 6×10 magnets from any reputed online eCommerce store, you can save on art setup, online design proof and shipping. In addition, you can harness benefits of full color printing, which allows you to seek colors as per your choice. Many such online stores offer these personalized magnets in 20 MIL, 25 MIL, and 30 MIL.